One of the hottest aromatherapy topics at the moment is about whether it’s ‘safe’ to ingest essential oils or not. People are going CRAZY on social media about the ‘ingesting debate,’ with some of the pyramid selling brands regularly advising that you can take consume essential oils orally - which makes for a lot of angry aromatherapists who disagree! Ingestion is put across as being natural and safe because it uses pure, therapeutic-grade oils. However, as aromatherapists, we are trained that taking oils internally is not safe! So, this month, we wanted to discuss who is right! What do we make of it, here at Base Formula? IFPA’s statement of 2017 says it “does not endorse the use of essential oils internally or by neat application” (another valid point – that neat application can be just as risky and controversial!). This is because they think it compromises “safety standards” not taking account of clients’ individual circumstances. IFPA further recognises that there is “a great deal of misinformation on the use of, and purported benefits of ingested essential oils on digital and social media sites.” It encourages members to act as advocates for the “safe and best practice our high standard of training provides, continually communicating, informing and discussing with our clients and the wider community on these topics.” Well, that couldn’t be clearer! Likewise, the FHT clearly states that it “does not endorse the ingestion of essential oils or cover this particular practice for membership and insurance purposes, irrespective of whether members have covered the ingestion of oils in any training they have completed.” They describe oral essential oil administration as “potentially high-risk,” especially when an individual recommending or administering oils is not medically qualified or has a lack of pharmacology knowledge. The other thing to remember is that it is also a misconception that ‘natural’ always equals safe. We at Base Formula provide information on our our website and blog in order to educate you in the safest use of essential oils; we are constantly trying to guide you in safe practice. However, there are times when certain oils are not suitable for specific health conditions, for example pregnancy, or high blood pressure – and we always advise that you check that out before use! 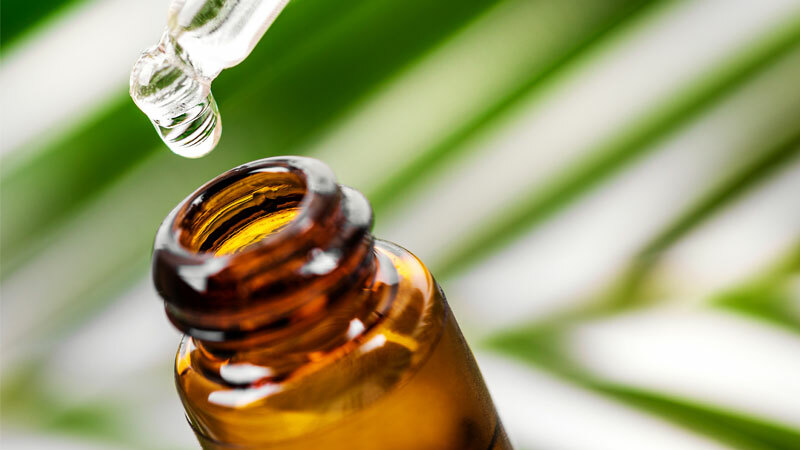 Aromatherapy, by its very nature as a ‘holistic’ therapy, is a much individualised thing, and so if you have any kind of medical issue, we will always point you to check with your GP or aromatherapist before using essential oils. Health itself is individual; no two people are the same, and you are completely unique, which means you need unique prescribing. With this in mind, it again seems unsafe for people (qualified or unqualified) to be advising that you consume essential oils orally (which is much more physically invasive and internalised than other applications of aromatherapy) without individualised prescriptions. In my opinion, a lot of companies who advocate ingesting do not educate people enough in which oils they – as an INDIVIDUAL – might be able to ingest and definitely can’t ingest (because it is a bespoke thing, just in the same way as an aromatherapy massage). Some of the practitioners of these brands often just don’t consider contra-indications. I have been to a demonstration at a festival, for example, where they handed around a balancing blend with Jasmine essential oil to put neat on your hands, but they didn’t even check if anyone was pregnant – Jasmine is generally not suitable until labour stage of pregnancy (and this is still on an individual basis) as its therapeutic properties can aid contractions! It is important to remember that essential oils can be super powerful. Given that these oils are highly concentrated and even one drop can have an effect, ingestion requires a lot more caution than people realise. Keeping their power in mind, when you combine this with the idea that as consumers, we all have different levels of awareness about aromatherapy - for a beginner, who is not familiar with the power of essential oils or their interactions and properties, for example - it could be very risky to ingest. Let’s look at the practicality, too! It’s interesting to me that the main advice is to pop drops of essential oils into water. In practice, essential oils don’t mix with water, and so the oil is basically floating on the surface, meaning you’d be swallowing neat essential oil! This can, of course, cause side effects which include mouth and stomach irritation. On the other side of the argument sits the fact that many people choose to ingest essential oils, and that food companies do use essential oils (though they perhaps know how to, safely), and that there are courses in safe ingestion (though our professional Aromatherapy insurance bodies won’t accept them)! I spoke to a GP and leading public figure who was associated with one of the main brands advising ingestion in order to try and clarify some of my questions; she was lovely and friendly, and it was an interesting conversation. Her response indicated that, actually, she does not ‘advise’ anyone to do anything, but she does educate and inform, mainly by explaining that she uses them herself, though she doesn’t advise anyone to do the same unless they choose to and can take responsibility for it themselves. She said that there is an abundance of human experience in using them safely, and that much of the excitement on social media about how dangerous they are is, in her opinion “not true.” I must admit that I liked this lady, and she was very knowledgeable, but she iterated herself that there is common sense and knowledge required to stay safe – I guess we had a mutual agreement on the idea that there is much more individualised knowledge required. She encouraged people to be informed and sensible, taking responsibility for their own decisions, advising that if people have health conditions and are on medication, not to ingest oils. Overall, she argued that it comes down to education and personal choice. Please note if you do choose to ingest essential oils, it is best to consume them in a vegetable or gelatin capsule (not water) to help prevent irritation of the digestive lining. For me, I’d love to learn more about this debate because it is interesting. I’d love to chat more to understand why people choose to ingest oils, especially when it can be risky and there are so many other wonderful ways to use essential oils, already! My personal view, with the wisdom that I have in this moment, is that there is so little known about safely ingesting essential oils and the long-term effects of it, that it isn’t advisable to do it – especially with such limited education out there for the general consumer. I’m trained, and I could ingest them with a little pre-warned knowledge about my own contraindications and individualised circumstances, but I choose not to because I don’t think it’s needed. I’ll stick to having a pampering massage instead - until the day I see or hear something different, it doesn’t make sense to me. I’ll end with the initial question in mind: is it ‘right or wrong’ to ingest essential oils? In my view, ‘right’ and ‘wrong’ are only ever merely labels, because everything in life is so individual that there is no one real truth. We all see the world the way we want to, just as we see this debate the way we want to, because our realities are constructed by ourselves. That’s why there is a debate in the first place; enough people believed in it to promote it, and enough people disagreed with it to protest it. However, if you’re looking to me for advice, I would say that unless you have been formally educated in ingesting essential oils, and you are confident that you know what you’re doing, and you’re prepared to go against the advice of the Professional Aromatherapy Bodies and take full responsibility yourself, then you don’t know enough to safely consume them because it is so complex! At Base Formula, we don’t advise ingestion at all. That’s what’s in our hearts; but always follow your own truth – because that’s what matters, underneath everything.